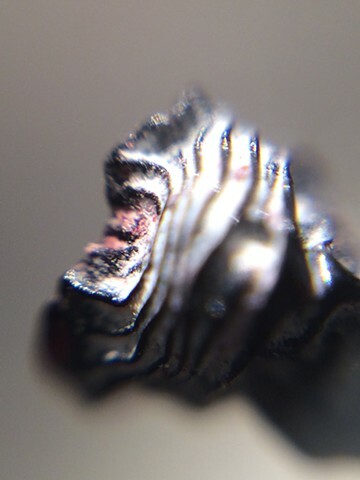 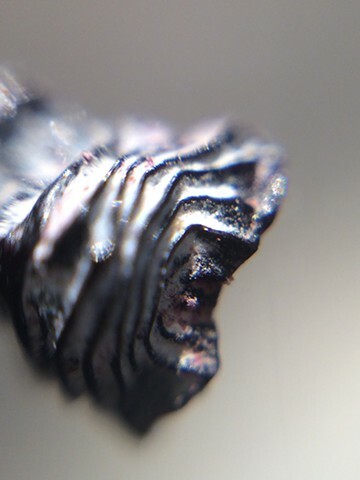 These images were captured by a hand-built digital microscope for iPhone, by hacking parts from existing tools and reassembling them within a constructed Plexiglas base. 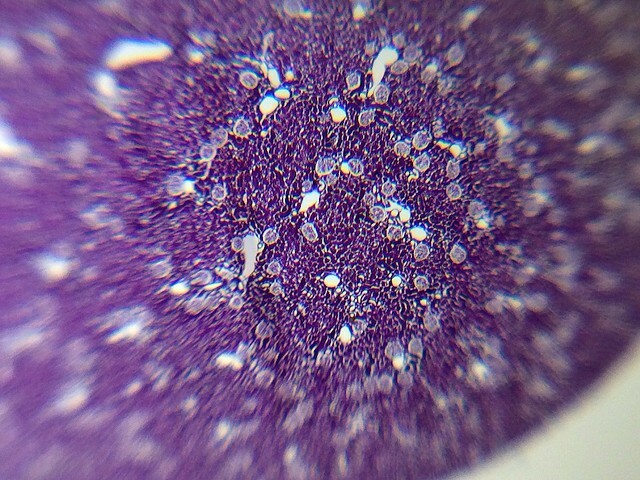 The images were taken of handmade glass microscopy slides, with hand-dyed mammalian tissue, created while a resident at SymbioticA Centre for Excellence in Biological Arts, School of Anatomy, Physiology and Human Biology at the University of Western Australia, Perth. 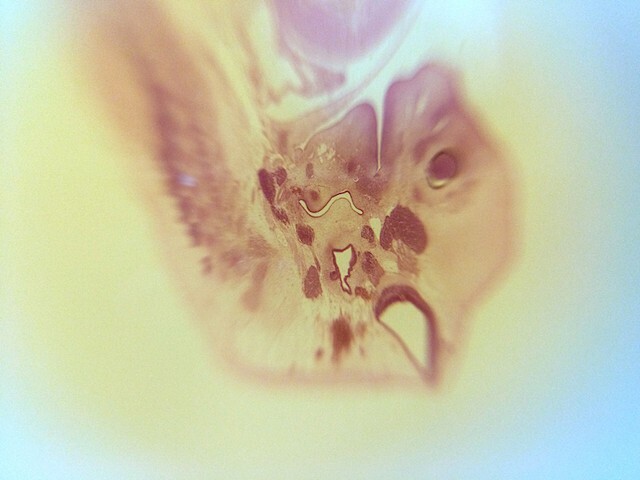 The microscope was built during a workshop with BricoBio (Montreal) at Helios Makerspace (Montreal). 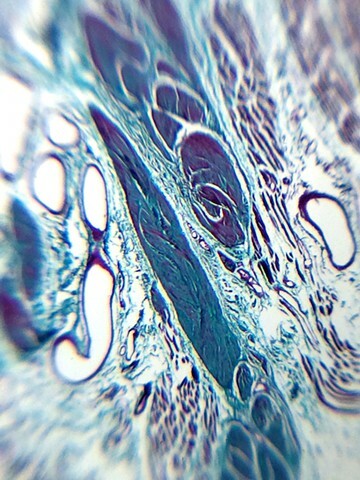 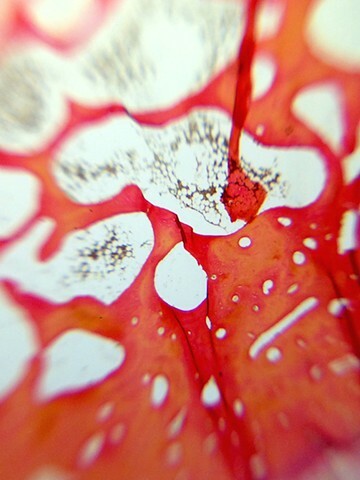 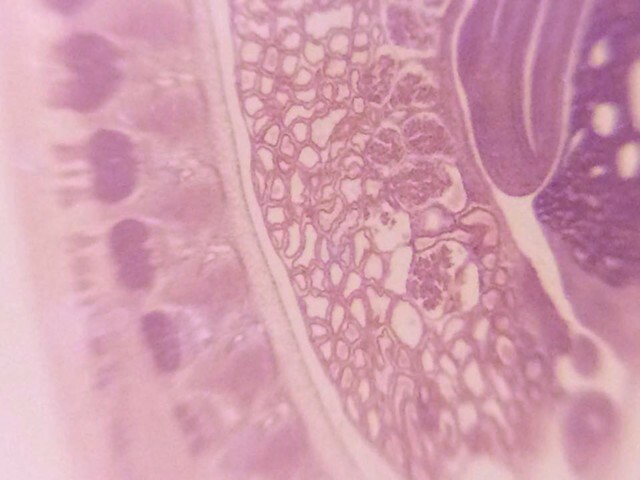 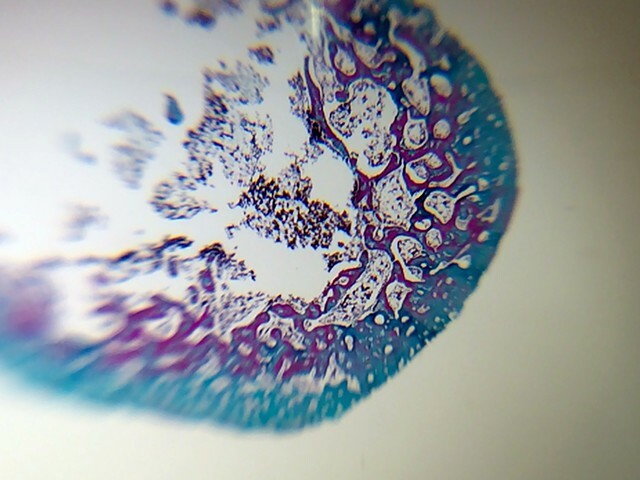 Special thanks to Mary Lee at CELLCentral (UWA) for direction and assistance in creating the histology slides. 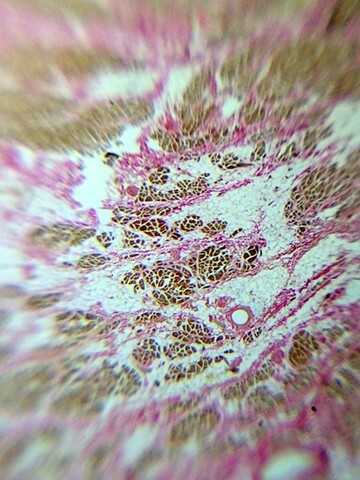 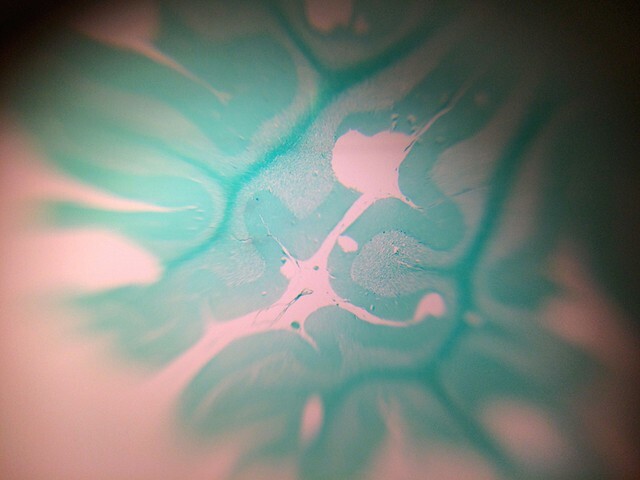 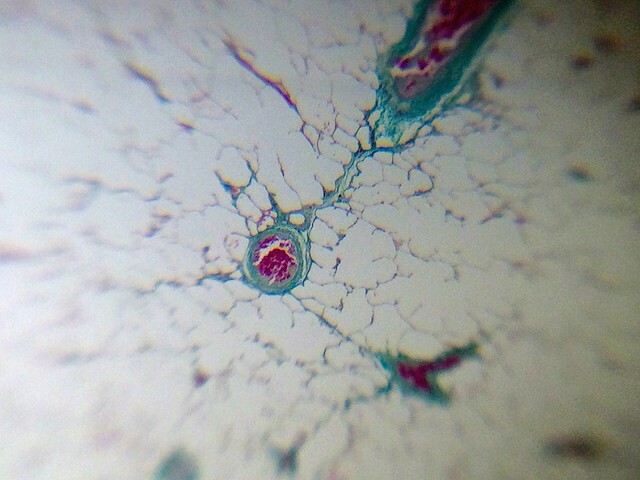 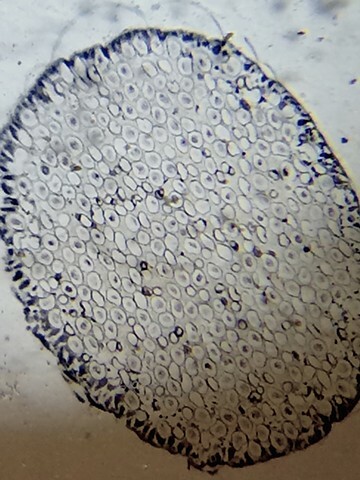 The micrographs were not altered in any way.